Vardos has toured extensively for over two decades, garnering glowing reviews for its electrifying live performances. 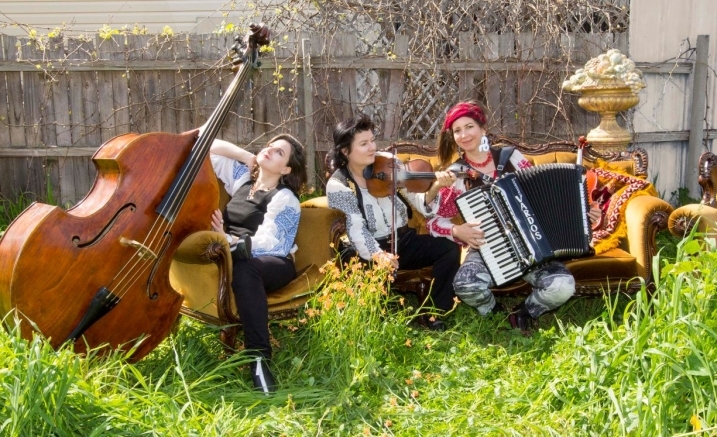 Led by violinist Alana Hunt, the ‘live wire in chief’, and learning their craft from folk and Roma musicians in Eastern Europe, Vardos combines accordion, double bass and violin in performances of stirring compositions that draw on gypsy form and melodies. What inspired Bartók, Liszt and Chopin to add folk motifs into their works? Discover the folk traditions behind classical Eastern European masterpieces as Vardos gives new life to the original sources of inspiration. And enjoy gypsy-style classics that reflect ancient beginnings performed on early instruments such as the three-string viola and hurdy gurdy. Purchase the Vardos two-concert package and save!